From there The Princess moved on to the Close Supervision Centre, to speak to 2016 Commendees, Ian Walton & Emma Powell, and other CSC staff, and then to Healthcare, to meet up with Award Winners Suzie Ingram (2012) and Liz Littlewood (2013) and their colleagues. 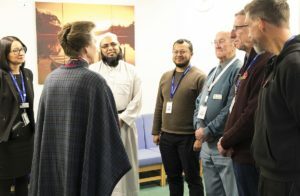 The visit concluded in the Chapel, where The Princess spoke to Chaplaincy staff, including 2009 Award Winner Moosa Gora, as well as meeting groups of staff from across the establishment over afternoon tea. 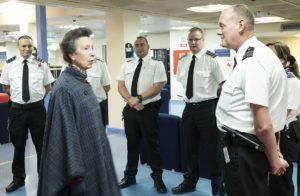 At the end of the visit, the Governor thanked Her Royal Highness for visiting, and noted that the prison’s achievements within the Awards were a credit not only to the winners themselves, but also to the contribution and support of all their colleagues throughout the establishment.